Cash Nicholson isn't looking for a girlfriend, but he wants to come home to someone after a bad day at work. Jade Robertson is desperate, and her best friend's couch just isn't going to cut it anymore. 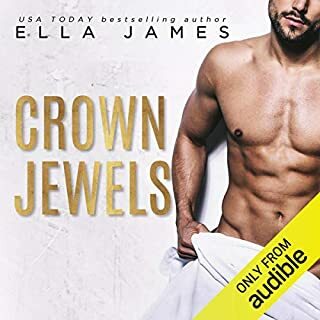 ©2017 Leddy Harper (P)2018 Audible, Inc. 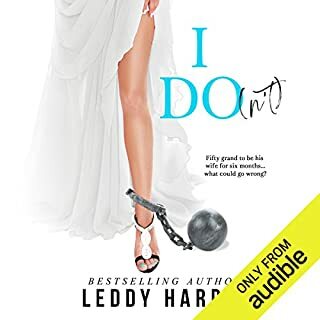 I've read author Leddy Harper Before so I expected a funny, romance. I was wrong, 1st Mrs Harper wrapped me up on this friendship that at 1st I felt maybe another character would be introduced only to explode their chemistry on a certain scene. I won't give this book away by adding spoilers so I will finish my review by telling the next listener thou the performance was great our male actor has a strong voice and when he had to perform a line our heroine spoke he had trouble with said role, under my opinion at 1st I felt this by the end i was so lost in the events this stop to matter. 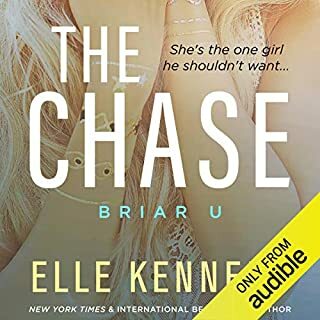 I Mean no offece Aaron Sinn he is great I loved his Character It was more because the female lead is a young woman that I felt it a but off, in no way should this discourage the next listener as I highly recommend this audiobook and story. best read (or listen) of 2018, for sure! not at all what I thought would be. I didn't care for the story or the main characters. Story rating - 2 stars because it was okay but just not really my cup of tea in the end. 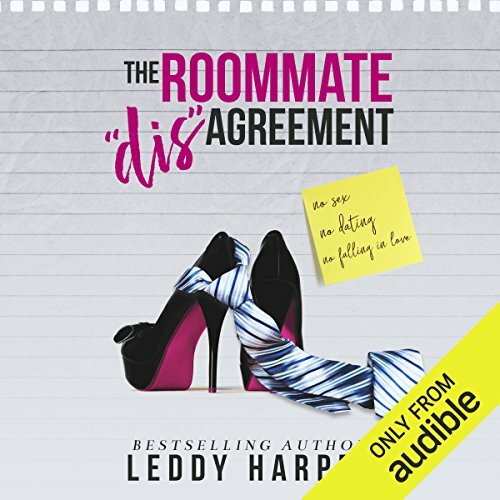 I'm a sucker for the roommates falling in love trope, and I was super intrigued by the premise. 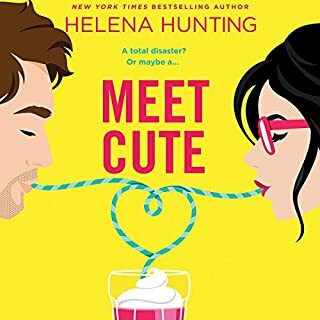 The story has heavier elements than I anticipated, and they didn't come together as well as I'd hoped with the aspects I enjoy most about the falling in love with your roommate trope. Overall, there wasn't any one thing wrong. But for me, when all the elements of their story were combined, there was no real magic. Also, I was bummed to be correct about who abused Jade and who the father of her child was. Performances - 5 stars for each narrator! Narrators Athena Pappas and Aaron Sinn did a wonderful job animating this story, and I'd definitely look forward to any new audiobook title narrated by either of them. Overall - 3 stars because this one was definitely worth a listen if you enjoy a slightly heavier roommates falling in love story! There was way too much hard to listen to unnecessary language ....REALLY could do without that.......the story could have been a lot cuter-I thought it would be...by the title and the description. Actually I couldn't finish it ....and for the first time ever I am thinking of looking into the - if you don't like it return it policy. The Roommate Dis’Agreement is about trust. With elements of honesty, protection, fear, companionship, and confusion. Cash needed a roommate, someone to socialize with on the weekends. Jade needed a private bedroom and bathroom where she could keep her and her daughter safe. His rules were simple...looking for roommate, looking for friendship, looking for companionship, and looking for a platonic relationship. What he got instead was a dis’agreement of broken rules. If I ever need solid advice Leddy is just the person to talk to. She balances out the arguments with good advice from all perspectives. She carefully considers all equations to every scenario. She outlines every possible angle providing valid arguments from all sides. Every situation is examined and cross analyzed to determine the perfect fit. Athena Pappas narrates Jade’s character. Athena’s voice is the perfect fit for Jade’s character. Her tone and acting skills portraying Jade brought her character to life. Aaron Sinn narrates Cash’s character. His voice was well suited for this male character. Aaron didn’t just read the words he brought the words to life. The chapters alternated between Jade and Cash. Each narrator voiced their assigned chapters regardless if Cash was in Jade’s chapter. Normally I prefer alternating narrations in the chapters as well, but this worked just fine. These narrators get inside the words giving subtle layers of storytelling. The most critical element for an audiobook is the casting. The choice of the right narrator is essential. The skilled narrator can fulfill the intent of the written work and give subtle layers of brilliant storytelling. However, the narrator is not just a voice. The narrator has to get inside the words, and thus into the head of the author. 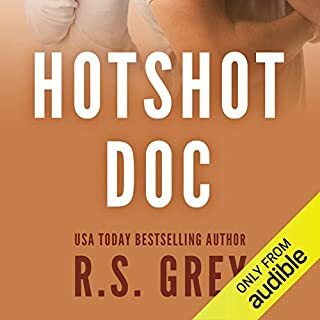 These two narrators accomplished everything I look for when choosing an audiobook.